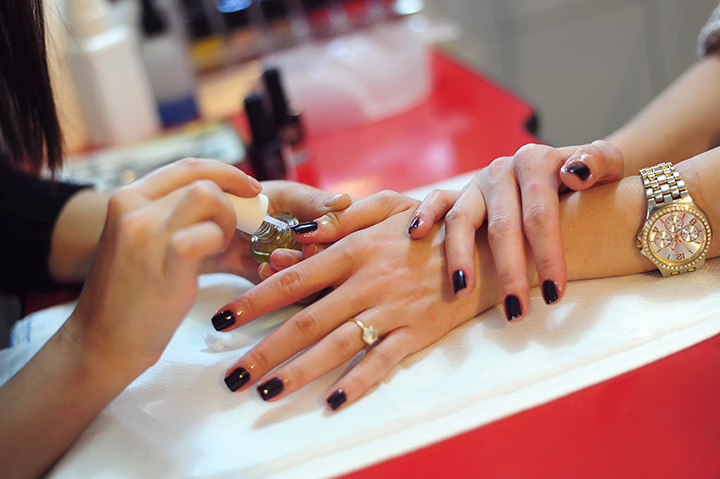 The 9 Best Nail Salons in West Virginia! Looking for the perfect place to be pampered? Offering basic manicures, relaxing pedicures, and occasionally massages and other spa treatments, these West Virginia nail salons are among the very best. You’ll leave feeling fabulous. Here are our favorites in the state. With a belief that luxury is affordable and pampering is a necessity, Euro Nails in Martinsburg, West Virginia, has won awards for being one of the “Top 10 Nail Salons” based on service and performance, clean surroundings, and innovation nail designs. Great prices for great service is what you can expect here and they offer mani/pedi services for younger clients, too. Make sure to check out their latest coupons on their website. From the moment you enter the doors of Tuscan Sun Spa & Salon in Fairmont, West Virginia, you’ll feel special. With two other convenient locations in Clarksburg and Morgantown, it won’t take long to realize why this place was voted “Best in Beauty & Wellness” by WV Weddings Magazine for three years in a row. Their latest award was last year for “Best in Hair & Makeup.” Since its opening in 2005, the salon has grown into a premier salon offering full spa services like massage therapy, nail services, hair styling, and body contour and weight loss center. They even have Spa Piccola, a spa center devoted to younger patrons that offers all natural facials, manicure/pedicure treatments, and haircuts. You’ll love the way you’re made to feel like family at Regal Nails Salon & Spa in Martinsburg, West Virginia. Independently owned and operated, consistency of service is one of the main reasons people love visiting this salon and spa, where innovative nail treatments and products, customer care, and excellent service is their top priority. Since their opening in 2006, Sun Time Tanning Hair & Nails in Charleston, West Virginia, has been provided full salon services including hair, nail, facial, and massage therapy every day except Sundays. They offer a variety of packages that will fit your schedule and budget, but whether you choose a pre-paid option or ala carte services, you’ll receive your treatment in a clean and friendly environment by trained professionals. If you’re particular about your nails, this is the place to visit. Specializing in pink and white acrylic and gel nails, TD Nails & Spa in Shepherdstown, West Virginia, elevate nail care to provide beautiful results by technicians. For over 10 years, services have included some of the best services like airbrushed nails, warm paraffin wax dips, callus and exfoliating treatments, and oil massage with hot towels. Clean and comfortable, Diamond Nails in Beckley, West Virginia, offers nail services and treatments from friendly professionals that get high marks on social media sites. You won’t feel rushed and everyone has the option of upgrading their treatment. Clean professional service with a smile is what you’ll get at Lovely Nails in Morgantown, West Virginia. Reasonable prices and consistent service from friendly staff that will work hard to give you the service you want whether it’s a new hair style or a relaxing mani/pedi. If you’re looking for a clean, comfortable salon with affordable prices, stop by Elevation Nails & Spa in Bridgeport, West Virginia. You can schedule an appointment or drop by, but either way, you’ll be welcomed by friendly technicians who want to make your visit enjoyable. Edgy and trendy or traditional and classic nail treatment is what you’ll find at Pro Nails & Spa in Barboursville, West Virginia. Great atmosphere and great service from knowledgeable and friendly people. They have comfortable recliners and treat customers with TLC.